We at Children and Family Dental are a talented and caring group of professionals who make this place a dental home for our patients. Providing care for and preserving our patients’ oral health is our top priority. I am absolutely passionate about providing people with the tools and knowledge they need to achieve healthy and beautiful smiles. The most exciting thing about my job is being able to make difference in my patients’ lives by using my knowledge and skills. Of course, working with a vast diversity of people has had a very positive impact on my life as well. It results in immense personal growth, enabling me to learn to customize care for every patient as an individual. Being on top of what is new and advanced in dentistry helps me provide my patients with the best available care. I take various hands-on and online continuing education courses on restorative and aesthetic dentistry through my affiliations with the American Dental Association and the Massachusetts Dental Society. My family is based in India where I grew up. My father is a general physician and my mother is the manager of the hospital where my two younger sisters are going to school to be doctors. When I am not at work I love spending time outdoors and hiking, but I also love to exercise my creative side by painting, sketching, and sculpting. I can honestly say it is a privilege to wake up every day and do what I love! Each patient has different dental needs, and my job is to make each and every patient who steps through the door feel satisfied. Some patients want relief from severe pain, some want a smile makeover, and others simply want a place to feel comfortable for routine dental work. I hope to create a place where children and adults can find a dental home. The ability to make someone smile with confidence or give someone the ability to return to eating the foods they love with restored dentition is what makes me the most proud! I love the way in which dentistry is always evolving. Procedures are now faster and more comfortable than ever before. With the abundance of ever-advancing dental materials and techniques, continuing education ensures I give my patients the latest, most aesthetic result possible. I partake in both clinical lectures and hands-on training regularly by participating in Boston’s and New York’s largest dental symposiums, the American Dental Association, Massachusetts Dental Society, and the New Dentist Committee. I was born and raised in Toronto, Canada, and even though I now live in Boston, I’m still a Leafs fan! I live with a great partner! You can find us hiking the trails of New Hampshire and cooking delicious meals together. We also love to travel. I have been everywhere from Tokyo to South Africa and take every chance away from the office to explore new territory. Dentistry has always been on a giving end to me, providing me continuous opportunity to grow both personally and professionally. Working with so many unique people has made me confident, responsible, and compassionate toward those in need. While I am passionate about providing the best possible dental care to my patients, it is equally important for me to provide a positive and pleasing patient experience. I love to communicate with my patients, understand their concerns, encourage positive dental habits, and strive towards rehabilitation of their oral and dental health. It keeps me up-to-date on all fronts of dentistry, including latest advances in clinical dentistry, patient care, and management. I strongly feel that participating in continuing education courses helps provide the best patient care. The majority of my CE is completed through my memberships with the American Dental Association, American Dental Education Association, Massachusetts Dental Society, American Heart Association (Basic Life Support Healthcare Provider), and the Red Cross Society. I live with my husband, who just completed his internal medicine residency and works at Lowell General Hospital. If I am not working, you can find me at relaxing at home, cooking, reading, or traveling. I have also always been active in serving my community. I have actively participated in events like Give Kids a Smile, Healthy Kids Fair, and several school field trips. I have also volunteered several hours with Healthcare for Homeless Houston, both in the medical and dental clinic, as well as with Houston Outreach Medicine Education and Social Services and World Aids Day. I am so grateful to be surrounded by love and compassion every day at work. There is nothing more rewarding than spending the day with caring parents and sweet colleagues. Children are precious; they are fun, curious, and their outlook on life is like a breath of fresh air! My team and I focus on providing a positive experience for children so they are encouraged to take care of their teeth for the rest of their lives. I am a board-certified pediatric dentist, and a member of the American Dental Association and the American Academy of Pediatric Dentistry. These memberships allow me the opportunity to continue my education to provide the best care to my young patients. I grew up in Los Angeles, California; however, I’ve spent majority of my time on the East Coast, in Manhattan, NY, and I currently reside in Boston. My parents, brother, and sister-in-law still live in California and I’m always looking forward to seeing them during the holidays. In my free time I enjoy cooking and running, skiing, seeing friends and family, and traveling. I feel that the one-on-one interactions with my patients is where I can make the biggest difference in their lives, not only to educate them on all matters oral health, but also to provide the treatments they need to live and be free from dental disease and pain. As a bilingual dentist who grew up in New York City with a single immigrant mom, I understand what it’s like to grow up in a disadvantaged socio-economic environment. My education was a big key in my life and it led me to become a dentist. I participate in continuing education courses to learn about the latest Information, techniques, and materials that are used so I can use this to benefit my patients in their dental treatments. Every year I take courses at the annual Greater New York Dental Meeting and the annual Yankee Dental Conference in areas including pediatric dentistry, endodontics, prosthodontics, and dental public health. 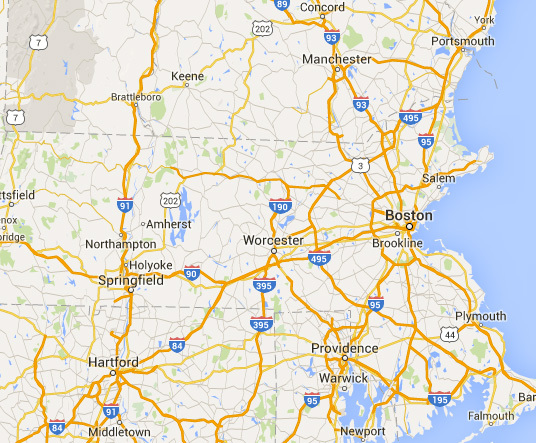 I currently live in Andover, MA, with my wife who is originally from Colombia. We have three children, the oldest of whom lives and works in Boston, and the younger two are in middle school. Most of my weekends are filled keeping up with my two younger boys. They both play on local soccer teams, so we often travel throughout New England for tournaments. Personally, I love being physically active and typically try and run several times a week. I am also bilingual in English and Spanish.